Dr. Oliver has been involved in complimentary, holistic medicine since 1972, working with nutritional and structural therapies for the last 33 years. He has presented numerous times at facilities such as UCSD Neurology Conference, Scripps Clinic, and SDSU. Currently in private practice, Dr. Oliver has treated thousands of patients with major health issues ranging from acute to chronic care. He has treated both professional and amateur athletes, assisting in the facilitation of improved performance. Dr. Oliver also served on the Advisory Task Force for the Gerson Institute; a non-profit organization dedicated to the holistic treatment of degenerative diseases. Dr. Oliver’s extensive education and experience has provided him with the knowledge to make a major contribution in the creation of all three of the Nutrition and Lifestyle Coaching Classes for the Chek Institute. He has integrated the holistic model of mind, body and spirit into his teaching. For the last several years he has been presenting international lectures in Denmark, Sweden, UK, USA, New Zealand and Australia that have been very well received. 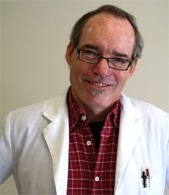 In addition to his scientific and clinical background, Dr. Oliver is an award winning and published nature photographer, accomplished musician (having composed and performed the sound score on a documentary film) holds U.S. patents in surfboard design and has shaped thousands of surfboards for some of the world's elite surfers. He is in demand internationally by trainers, coaches and clients for his thought provoking, entertaining and practical approach to attaining and maintaining Wellness. His patients, students and clients have nicknamed him “Doc Wellness” for his enthusiastic and passionate approach to helping them solve their problems and achieving their wellness goals. Copyright © 2013 – 2019 Center For Balance.